Thinking of you today – Season’s Greetings and Merry Christmas to you and your loved ones. Wesołych Świąt, radości i samych dobrych dni. Please remember to set an extra place at your dinner table for a passing stranger who may be hungry, frightened and cold as we remember those people on our planet who are caught up in a War zone, the homeless and the lonely…. 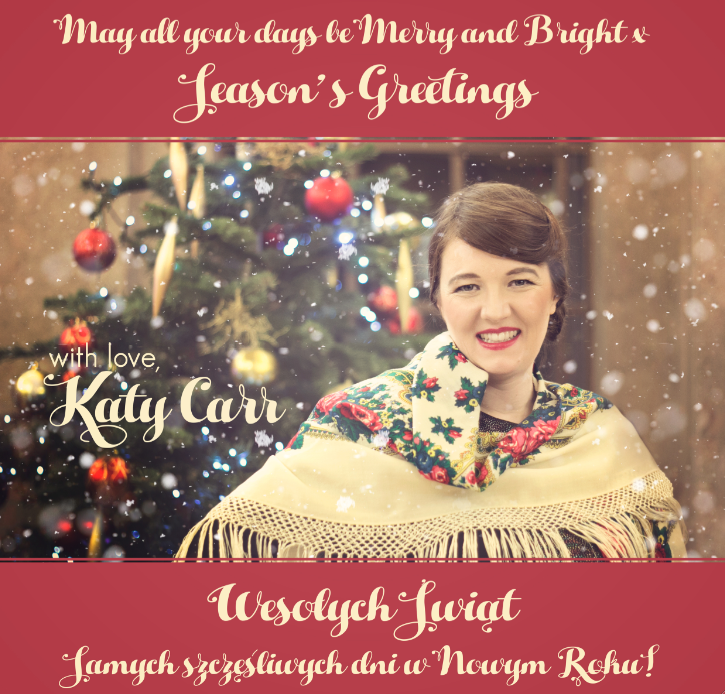 Next:Katy Carr’s Happy New Year 2016!! !